Whatever the economy is doing, there’s one business that will never run out of customers, and as a reliable supplier to funeral directors across the nation, Wilcox Limousines has enjoyed steady orders for almost 70 years. Founded by William and May Wilcox in the late 1940s, the Wigan-based firm originally provided chauffeured vehicles to the nearby Eagle Studios, but a turning point came when Wilcox began to buy and sell limousines in addition to hiring them out. Another key deal for the business was with Daimler to supply coach built bodies on the DS420 platform. 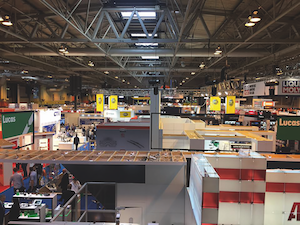 It’s fair to say the family’s hard work paid off for them operating across three locations and generating a company turnover in excess of £20m. The current Wigan site was our stop today comprising a 55,000 sq ft. warehouse space, 60 staff and plenty of shiny limousines to feast one’s eye on. We met William’s granddaughter Leila who provided an insight into the third generation business. “We are a family business selling to family businesses”, she said. “90 percent of our turnover is UK-based funeral directors and we recently launched our Jaguar XF Hearse for the overseas market which is rapidly growing”. To say Wilcox Limousines only caters to funeral directors would be false, as there are many services in the firm’s itinerary including classic car restoration and prototype projects for car rallies. Leila elaborates. “We also have people coming to us for supercharged limousines from commercial backgrounds. At our Northampton site we perform classic car restoration and one off prototype projects where we have a strong development team in-house”. 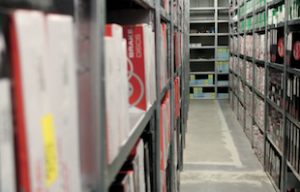 Production Director Ian Hughes took us around the warehouse to get a gist of the business. The first point of call started in the depot where a number of new and used Jaguar XJ and Volvo S80 models were lined up for service. For vehicles coming directly from the VM’s factory, a job number is generated along with a spec sheet and route card. Hughes added. “From that point, a pre-delivery inspection is carried out to ensure there are no Jaguar issues we can’t solve, otherwise, it goes back to the local dealer who can claim it back on their warranty”. Once given the all clear, the vehicle is stripped down to its shell removing the glass, wiring and interior to begin the process. “Once the glass has been taken out we have a glass transporter that takes it to our Northampton site” said Hughes. “Bodywork extension is carried out there using aluminium for the Jaguar XJ hearses and limousines ”. A key factor when constructing these vehicles is ‘keeping them in line with tradition’, meaning each hearse is measured to the correct height allowing enough head space for undertakers to wear a top hat inside without fear of knocking it over. After the bodywork extension is complete, the hearse is hand painted and its original components restored. “All the parts that came off the job will be fitted back on the vehicle”, Hughes continued. “We will then install the side windows, carpets, interiors and complete the deck work, hearse seating and the rest of the tailgate”, adding that the firm buys the exact materials originally fitted to the vehicle from its VM’s supplier. 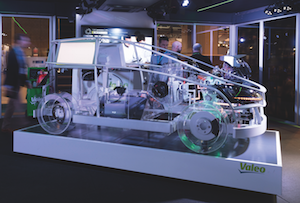 The vehicle will then enter the ramp and is rigorously tested for leaks, fault codes, followed by a test drive in different driving conditions ensuring it meets or champions that of the VM’s original specifications. This is backed-up with Jaguar’s diagnostic tools and training on site as Leila explains. 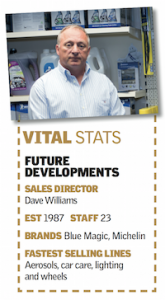 “We have invested over £1m in tooling and equipment. 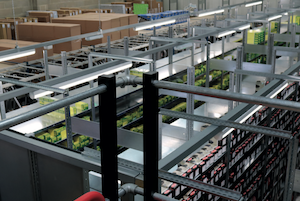 As the VMs release new technology we will be implementing it while working alongside our key manufacturers”. Hughes concurs. “Our first point of call is our Jaguar dealer. We have our own Service Region Manager from Jaguar who visits us frequently to make sure we are up-to-date with the latest diagnostic tools and training offerings”. A detailing bay is used at the final checkpoint where the hearse/limousine gets the once over and a full inspection, checking every nook and cranny is intact before it’s sent out for delivery. Leila and her family have some exciting plans in the pipeline, which includes marketing expanding into new territory. She concluded. 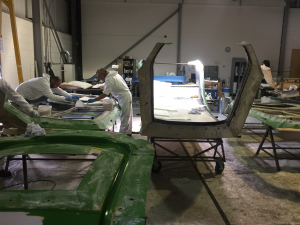 “We have never marketed overseas, but now we are branching out internationally with our Jaguar XF hearse as well as progressing with our car restoration and prototype businesses. I think the long term plan will be expanding our Wigan site rather than build more premises around the UK”. The Wilcox family are also brainstorming ideas to commend the firm’s 70th anniversary next year with talks of a 1940’s themed celebration on the cards. Whatever they decide to do will be a great event to commend May and William’s legacy. 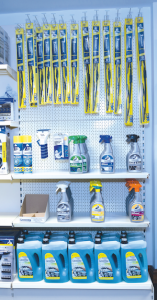 Featuring Granvilleâ€™s entire range of over 300 automotive chemicals and lubricants, including the latest fully synthetic engine-specific oils for cars and CVs, plusÂ an expanding list of ‘premier brands’. These includeÂ Autosolâ€™s new Metal Polish range, Ambersilâ€™s maintenance products, Dreumex hand cleaners, Gunk, Nova, Hylomar, Jenolite rust treatments, Nilco glass cleaners, Wynnâ€™s, 10K Boost, and Ce-lit Radiator & Cooling System Repair. 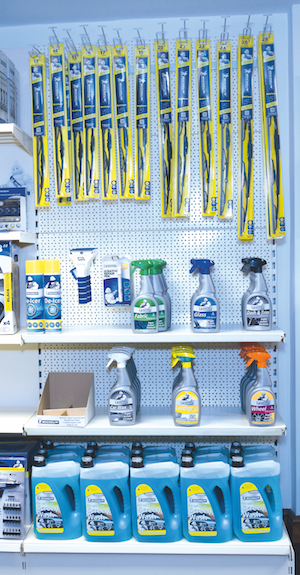 Plus Granvilleâ€™s branded chemical rangeÂ for maintenance workshops, body shops and general car care. The comprehensive 2010 Saxon catalogue features two of the best brands in Car Care.Â Turtle Wax, which has built his success on excellent product quality and continued development, has the highest consumer brand recognition in the UK and is the complete answer to every valeting need. The Hycote range of spray paints and speciality products, which has been specially formulated to give bodyshop performance to the DIY user, is the one consumers trust.